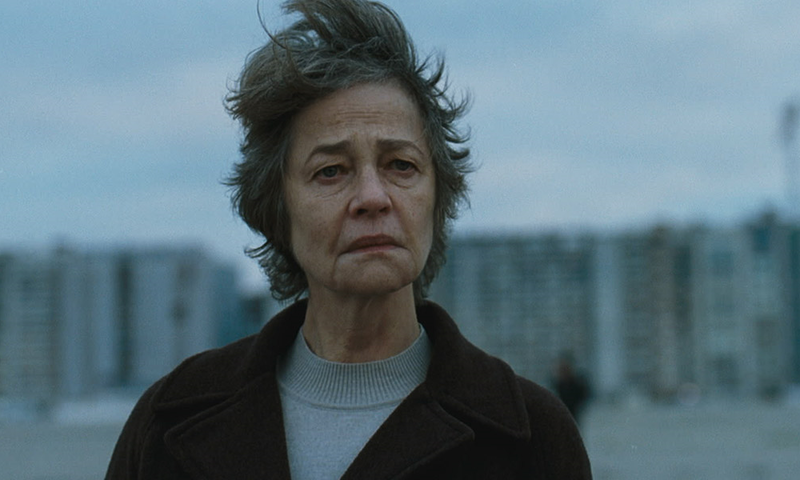 Charlotte Rampling gives a performance of devastating subtlety in Hannah. This masterful turn, which earned Ramping Best Actress at the Venice Film Festival, shows the veteran actress at the top of her game playing a woman whose life falls into a tailspin when her husband goes to prison. It’s useful to consider Hannah as a European companion piece to the American indie Who We Are Now starring Julianne Nicholson as an ex-con struggling to shake her past, which also played the festival. Both films are intimate character studies about the unshakable stigma that crime places upon the individual. Sins of the past and guilt by association are different crimes in each film, but both actresses give powerfully introspective performances as women desperate to save their lives from the burden of their crimes. Rampling, like Nicholson, gives one of the best performances of the year in a hidden gem worth finding. Director/co-writer Andrea Pallaoro provides very little information about Hannah’s life or story when the film drops us into her world at this pivotal moment. It seems like any other day for Hannah as she goes about her acting class, which appears frequently throughout the film like a time stamp or section break, and does a little bit of groceries before coming home and cooking supper. The meal that follows seems awfully mundane for what could be the last supper shared by Hannah and her husband (André Wilms). The only noise is the TV that drones in the background until the light above pops and the man of the house changes the bulb. Not much for talking, these ones are, but perhaps the years spent together have created a bond so strong that all they need for comfort is shared presence. Cut to the next scene and the stillness of the dinner becomes tragic. Hannah says goodbye to her husband while he goes away to prison. The rest is silence as she wonders what to do with her life. Without giving the audience Hannah’s backstory, the film leaves it up to Rampling to create her character’s tragic history on her face. It’s a task that Rampling relishes. Her quietly introspective performance carries this film of sparse dialogue and action. Resigned to paying for her husband’s crime with a life of isolation, Hannah spends her days and nights alone. The weight of isolation becomes very powerful as Rampling sags and the dejected Hannah becomes burdened by loneliness. Her acting classes are her only salvation as she finds agency and power by sharing these few hours with fellow creatives. The sessions are an outlet she needs when so many emotions and words bottle themselves up home alone. A shattering twist comes later when Hannah makes a rare smile. It’s her grandson’s birthday and she bakes a cake especially for him. Wrapped up nice in a fancy box, the cake travels with grandma across town to the home of Hannah’s son—who lives far more comfortably than his mother, a cleaning woman, and father, a crook, seem to—and finds her invitation declined. Watch Rampling’s face crumble as the last glimmers of life leave Hannah in a tragic vacuum. Whatever she or her husband did, she doesn’t deserve the price she pays. Hannah is a devastating character study that cripples us with the sad weight of loneliness.